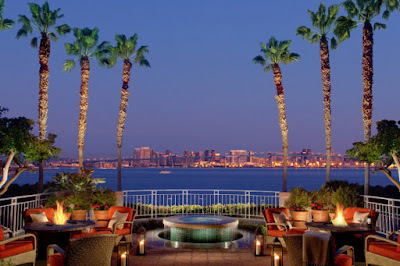 The picturesque Loews Coronado Bay Resort will host its inaugural Play On The Bay charity fundraising event to support local education on Friday, September 9, from 6-9pm, giving guests the opportunity to enjoy delicious food, ice cold drinks, live music, gondola rides, a silent auction, and more during an unforgettable evening overlooking the beautiful San Diego Bay and skyline. 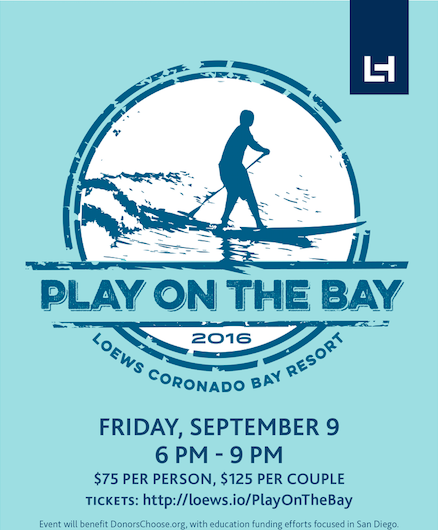 "We are thrilled to be hosting our first annual Play On The Bay event at Loews Coronado Bay Resort to benefit DonorsChoose.org," said Sean Clancy, Managing Director at Loews Coronado Bay Resort. "It is an opportunity to enjoy a fun-filled evening at our resort while supporting public school teachers and their local classrooms. It is so exciting for us to see to host this event and assist local school teachers with the supplies and equipment they need to teach our children." Tickets to Play On The Bay are $75 per person, $125 per couple and include an extensive chef-prepared tasting menu, drinks, live music, gondola rides and amazing views. DonorsChoose.org, an online organization that empowers public school teachers from across the country to request much needed materials and experiences for their students, is the national charity for Loews Hotels. The money raised from this event will go towards funding public school initiatives across San Diego County. 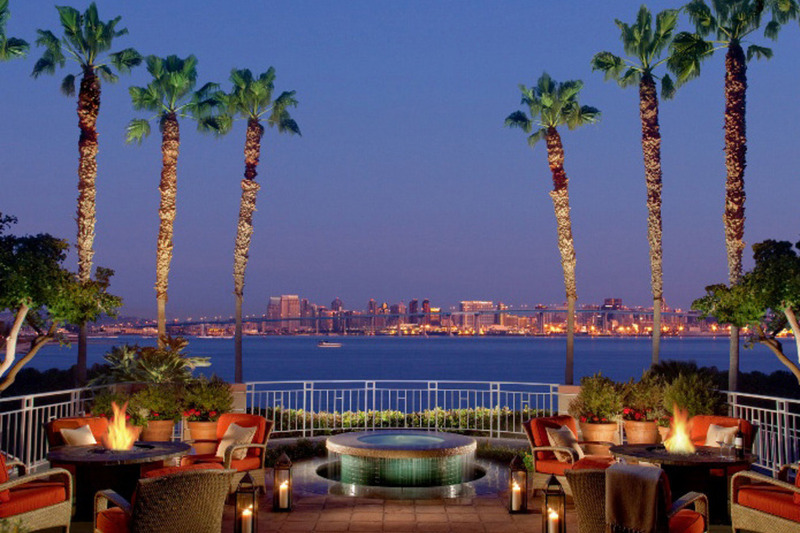 Situated on a private 15-acre peninsula surrounded by the Pacific Ocean and Coronado Bay, Loews Coronado Bay Resort is located minutes from downtown Coronado. For more information and to purchase tickets, visit loews.io/PlayOnTheBay.